Click on Settings > Accounts > Add account > Email. Type in your full MDC email address, for instance johndoe@mdc.edu, then type your MDC password, and then click on Next. Make sure your full email address is in this box, for example, johndoe@mdc.edu. Type your full email address in this box, for example, johndoe@mdc.edu.. 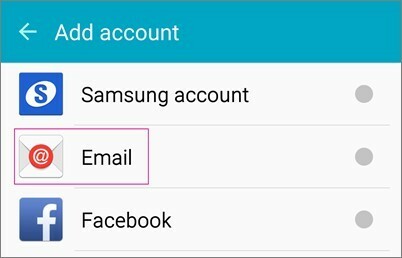 If Domain and Username are separate entry boxes in your version of Android, you need to leave the Domain box empty, and type your full email address in the Username box. Use the password that you use to access your account in MDC. 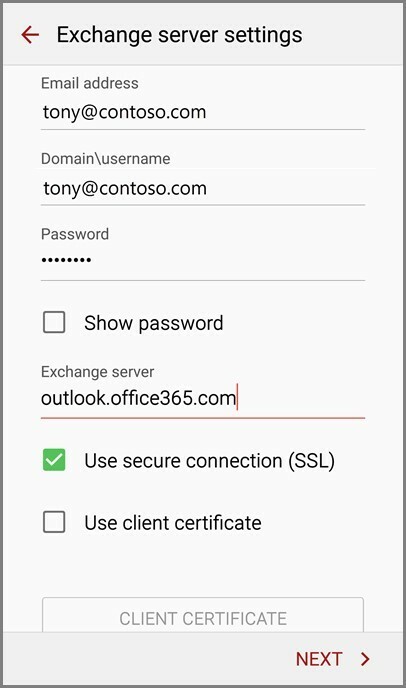 Make sure that Use secure connections (SSL) box is selected as shown below. 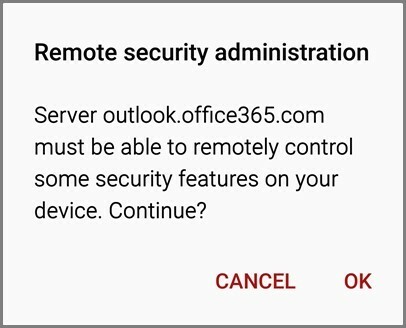 You might receive a message about additional security features. Select OK or Activate to continue.